How Do Bond Yields Affect Currencies? Bond yields play a significant role in determining the direction of a currency. The difference between one countries bond yield and another countries bond yield, known as an interest rate differential, is more influential on the direction of a currency than the actual bond yield. The interest rate differential between two countries bond yields generally move in tandem with the corresponding currency pair. A sovereign bond yield is the interest rate where a government can borrow capital. 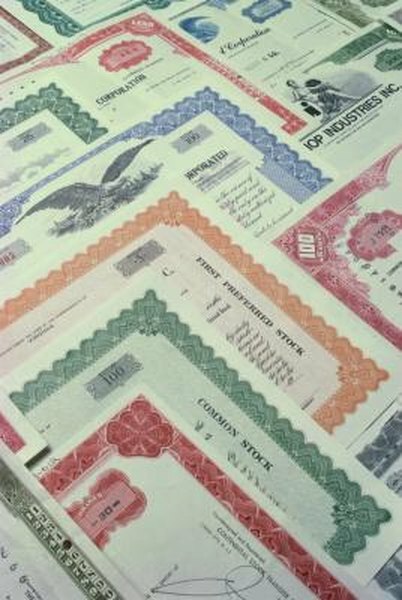 Bonds are interest rate sensitive securities in which the public can lend to sovereign governments, municipalities or corporations. Short-term interest rates are generally driven by central bank policies, while bond yields fluctuate more with market sentiment. Bond prices move in the opposite direction relative to their yield. For example, as the price moves up the yields moves down. The basic security that is traded within the foreign exchange market is called currency pairs. A currency pair is the relative rate between one countries currency and another countries currency. For example, when the exchange rate for the currency pair EUR/USD is 1.3, an investor can purchase 1 Euro for $1.30. When an investor trades a currency pair they are simultaneously purchasing one currency and selling another currency. For example, a trader who purchases EUR/USD is buying Euros and selling dollars. The majority of currency exchanges that take place are transacted in what is referred to as the spot market. The spot currency market requires that each participant delivers their currency within two business days. Currency trades that specify delivery of a currency beyond two days are transacted on the forward market. Forward currency trades incorporate the costs (or benefits) of owning one currency relative to another. The costs are reflected in forward points which are either added or subtracted to the spot rate to generate the forward rate. Forward points are calculated by subtracting one bond yield from another. Bond yields differentials usually move in tandem with currency pairs. This phenomenon occurs because capital flows are attracted to higher yielding currencies. As the rate of one currency increases relative to another, investors are attracted to the higher yielding currency. Additionally, the cost of owning the lower yielding currency increase as the bond yield differential moves in favor of the currency that is sold. For example, the cost to owning the Yen and selling the dollar will increase as US bond yields increase relative to Japanese bond yields. David Becker is a finance writer and consultant in Great Neck, N.Y. With more than 20 years of experience in trading, he runs a consulting business that focuses on energy hedging and capital market analysis. Becker holds a B.A. in economics.